Well, if that isn’t a mouthful, I just don’t know what is! 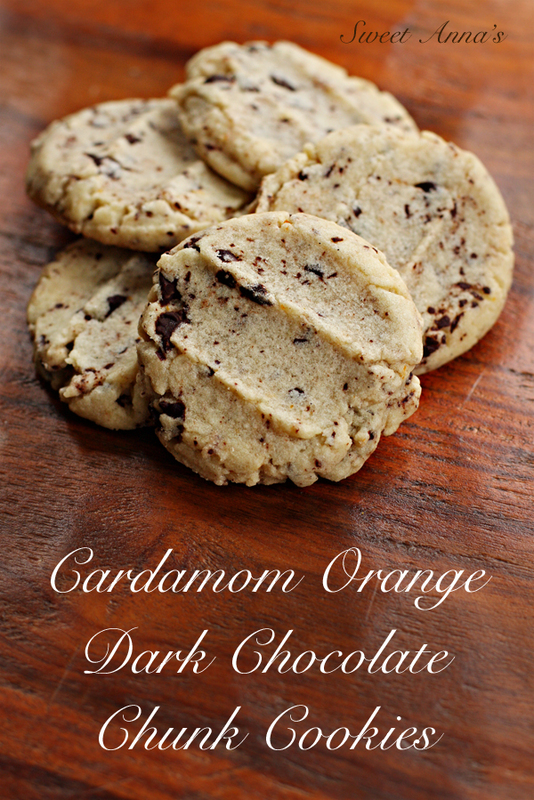 Cardamom Orange Dark Chocolate Chunk Butter Cookies are exactly what their very long name implies… chewy, rich butter cookies, laced with aromatic cardamom and orange zest and studded with finely chopped dark chocolate. No, they are not your usual, throw together for your kids, afternoon treat (unless your kids are used to that kind of thing, like mine are! ), these are a special treat that is super easy to throw together and yet sophisticated enough to serve as dessert after a special dinner. Perfectly perfect with a hot cup of coffee, of course, I could eat this whole batch in one sitting. Except I won’t, because it has a pound of butter in it! Ha! Cream together the butter, sugar and orange zest until light and fluffy. Beat in the egg, vanilla extract, cardamom and salt until well blended. Mix in the flour, until you have a smooth, well-mixed dough, and then quickly mix in the chopped dark chocolate until just well scattered. Scoop the dough out onto parchment-lined baking sheets and flatten slightly with a fork dipped in cold water. Bake for 8-10 minutes, or until the edges are just barely golden brown. Remove to a cooling rack to cool completely before storing in Tupperware in the freezer (if they don't all get eaten right away, that is! ).